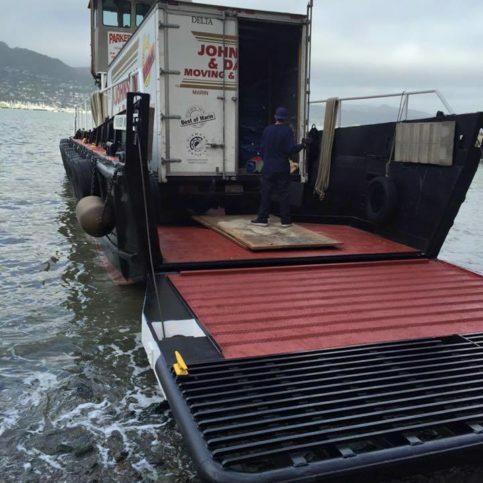 Johnson & Daly Moving & Storage offers local, long distance, and international moving services to residential and commercial clients throughout the Bay Area. 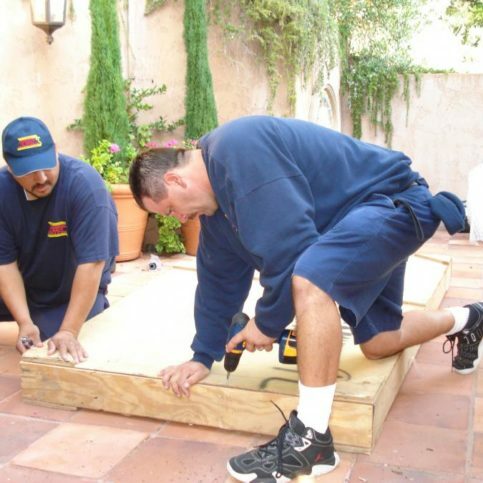 Its professional crews use fully equipped trucks to handle every aspect of customers’ relocations, from packing and wrapping to custom crating and arranging furniture. 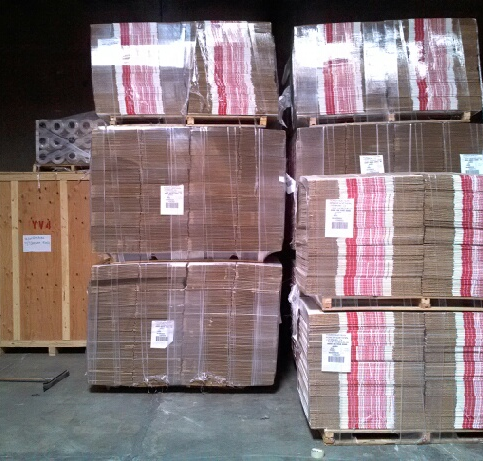 The company also provides mobile container and warehouse storage services at its San Rafael facility. Johnson & Daly Moving & Storage’s professional movers are trained to implement efficient packing, loading, driving and unpacking techniques, and they’re required to pass rigorous background tests and drug screenings. The company also assigns a “Move Coordinator” to each job to act as a single point of contact and guide customers through each step of the moving process. Johnson & Daly Moving & Storage provides a variety of services designed to give its customers flexibility in their moving plans. 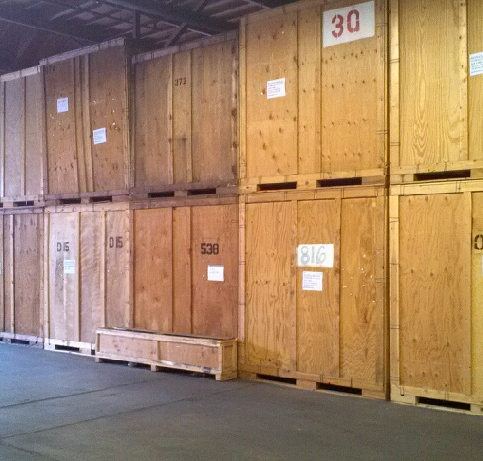 The company handles every aspect of clients’ relocations–from packing and wrapping to custom crating and arranging furniture–and its San Rafael storage facility is capable of holding about 900 shipping containers. As an alternative to traditional moving vans, it also offers moving pods and trailers, which customers can fill and have picked up from their homes. 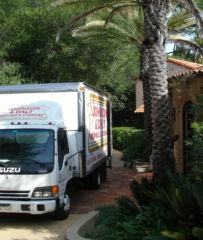 Owner Tim Johnson began working in the moving business in 1979. “I started out with some blankets off my bed and a beat-up pickup truck,” he says. 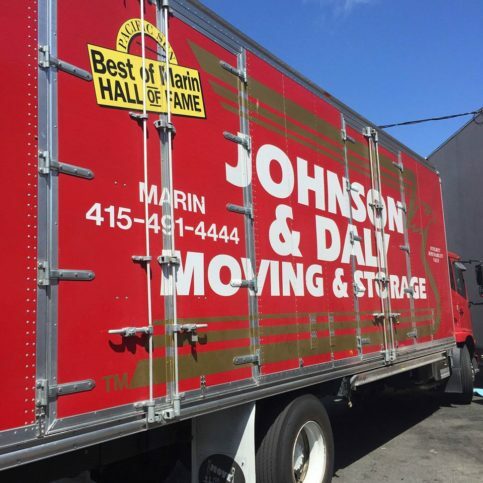 From that beginning, Mr. Johnson has expanded Johnson & Daly Moving & Storage into one of the largest moving companies in Marin County, with 24 trucks that move approximately 2,500 households every year. As an affiliate of nationwide moving firm Mayflower/United, the company can arrange all types of local, national and international relocations. “We can even ship boats,” adds Mr. Johnson. Bureau drawers: Don’t overload—loads that are too heavy can cause damage. Remove firearms and any items that might break or leak. Firearms, along with serial numbers, must be registered with your van line representative before the move. Canned goods and other non-frozen food: Pack upright with no more than 24 to 30 cans per carton. Don’t attempt to move perishables. Wrap glass containers and boxed foods individually and pack them in small cartons. Clocks: Remove or secure the pendulums in large clocks. Grandfather clocks should be moved by expert service people. Drapes and curtains: Hang drapes over the crossbars in wardrobe cartons or fold them in clean cartons. Remove curtains from their rods and fold and pack them in cartons or bureau drawers. Lamps and lampshades: Remove bulbs, harps and shades. Roll up cords. Pack lamps with bedding or wrap them separately and place them upright in clean, tissue-lined cartons. Wrap lampshades in tissue, not newspaper, and place them upright in large, tissue-lined cartons. Mirrors, paintings and pictures: Tell your mover about valuable paintings that require special care. Wrap small mirrors, pictures, paintings and frames, and place them on their edges in cartons. Place large pictures and paintings on their edges in heavy cardboard containers. Large wall or dresser mirrors should be taken down by movers and placed in special cartons. For added safety, place tape diagonally across mirrors to protect them from damage. Don’t place newspaper directly against paintings. Silverware: Wrap each piece of silverware in cloth or low sulfur content paper to prevent tarnishing. Use an old blanket or moving pad as a wrap to prevent scratching the silverware chest. Tools: Drain fuel from power tools (don’t ship flammables under any circumstances). Pack tools in small, strong cartons. Wrap them separately if they’re valuable. Q: How do you charge for packing and moving services? A: We charge by the hour. 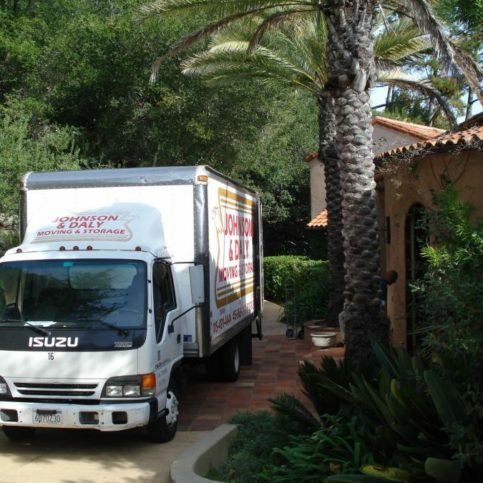 For large moves that require more than two movers, we’ll give you a firm estimate. If it takes longer than our maximum estimate, you don’t pay anything additional. Q: Do you move pianos and other large objects? Q: Do you disconnect appliances and reconnect them at the other end? A: We can help you do that, but the responsibility for disconnecting and connecting appliances, especially water and gas lines, is ultimately yours. Q: Do you pack and ship jewelry and coins? A: No. You should pack and transport small, highly valuable items yourself. Q: What do I need to do to prepare for my move? A: Even if we’re doing all the packing for you, there are many preparation steps, from getting rid of excess belongings to ensuring your utilities are cancelled. Our website has a detailed list of steps, as well as moving tips and advice. 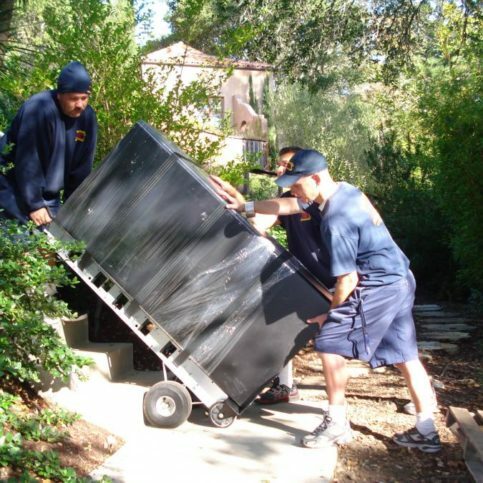 SAN RAFAEL — The average four-person household in the United States accumulates 1,000 pounds of new possessions each year, which, over time, can amount to several tons of excess “stuff.” While the ensuing clutter can be bad enough, in the event of a relocation, an overabundance of belongings can result in an exorbitant moving bill. That’s why, if you’re planning to move in the near future, it’s a good idea to take stock of your belongings and downsize. Here’s a good rule: If you haven’t used something in more than a year, it should be a candidate for downsizing. Whether holding a garage sale or using an online seller’s hub like craigslist or OfferUp, there are plenty of ways to sell your unwanted items. Besides reducing your moving bill, this will put a little more money in your pocket to pay for it. If you can’t sell your unwanted items, another option is to donate them. There are plenty of charities that will take your unwanted items and put them to good use. Some, such as The Salvation Army, will even come to your home and pick up your donation if you give them a couple of weeks’ notice. As an added bonus, you can write off your charitable donations on your taxes. If you have items you can’t sell or donate, your last option is to take them to the dump. While dumping your unwanted items costs money, it’s a lot less expensive than moving them. There are a couple of ways to go about this, the simplest (and cheapest) being to haul your items to the dump yourself. If you don’t have the time or resources to do this, you can call a service like 1-800-GOT-JUNK? to handle it for you. SAN RAFAEL — Host, Sarah Rutan: If you’re downsizing in advance of a move, make sure you consider all available avenues for discarding your unwanted items. Today we’re in San Rafael with Diamond Certified Expert Contributor Mario Batz of Johnson & Daly Moving & Storage to learn more. Diamond Certified Expert Contributor, Mario Batz: Here are a few tips on what to do before you move, if you’d like to downsize. We recommend downsizing as much as possible before you move, because you absolutely don’t want to pay the movers to move things to the new place that you haven’t used in a while or that you don’t need. The first thing you should do is try to sell it. If you can’t sell it, try harder. What you need to do is you need to get it on Craigslist. You need to get it on OfferUp. You need to put it on Nextdoor. Any possible way you can get some money for it, sell it. It’s probably worth something. It’s just probably not worth what you think it’s worth. But sell it anyway. It’ll save you from moving it, it’ll save you from storing it, and it’ll save you money in the long run. If you can’t sell it, my next advice to you is to donate it. There’s a lot of people that can use it. There’s a lot of charities out there. Goodwill. Salvation Army will come pick it up if you give them a couple weeks notice. There’s a lot of ways to donate. A lot of people could use the help, and you can get a nice tax deduction for it. It’s a great way to get a little money without having to sell the things if they’re not sellable. So, those are your tips. A normal family of four accumulates about a thousand pounds a year, whether that’s through gifts, whether that’s through holidays. And to give you a little frame of reference, 5,000 pounds is a sparse two-bedroom apartment. So in five years, if you haven’t moved, you’ve accumulated—your family of four has accumulated a two-bedroom apartment’s worth. So even if you think, “I haven’t bought anything new, I haven’t gotten anything else, it’s the same stuff as when I moved last time,” it’s not. You have more stuff. And getting rid of ahead of time—getting rid of the stuff ahead of time is a great financial decision before you move. Johnson & Daly Moving & Storage : Average 9.5 out of 10 based on 296 unique customer surveys of customer satisfaction. Highly professional, and they are very careful about everything. Mike provides great service. I have been working with them for 7 years. They have been in business a long time, and I can count on their service being available when it is supposed to be, and done right. They were very professional, on time, and they knew what they were doing. They were very professional and on time. They knew what they were doing. They are easy to work with, prompt, polite, and they show up on time. They keep their work. They are willing to work with somebody around their needs and issues. I thought I could pack things myself, but I couldn't, so they sent over some packers. They were helpful and flexible. They were there from the beginning, and they had somebody come in and look at our house to determine how long it would take. He stuck with us through the process and called to see how we were doing. The staff and their responsiveness, the team who moved us was very good as well. Mike Volpe was amazing. He went above and beyond. He went over to our new home and scoped it out. He was able to get cones and estimated how many boxes we needed. He was very knowledgeable and on top of it. They were very efficient and nothing was damaged. We started our move at 9:00 AM, and they were done with the move by 5:00 PM even though we had a lot of stuff to move. They were able to move some bunk beds up the stairs, took them apart, and put them back together. That they came highly recommended by my real estate agent, and all of the people I dealt with were very nice and helpful. I have recommended them to others. They arrived on time, and they did everything. My stuff is still in storage. Sandy was great. They are a great, professional moving company. They were really pleasant people to work with, and they were really careful with my things. Our sales representative was great. She helped really organize how we planned the move, and she worked on the cost in a way that was insightful and helpful. The timing was great. They were on time and very professional. I would highly recommend them, because the quality of the customer service was top notch, and I know good customer service. They were willing to negotiate the amount, which made it easier for the family, and they went out of their way to get me boxes. They even got me into my house earlier than I had expected by a day. I dealt with Michael a lot, and he was great, very responsive and very helpful. The only bad experience I had is that one of the guys was not very kind, and he gave me an attitude. Although, I do not remember his name. I thought they were reasonable. I had things in storage for over a year and nothing was damaged. It was a good experience overall. They are efficient, thoughtful, and friendly. They are professional, and they really know what they are doing. She knew exactly how many hours it would take and how many people we needed. Not a penny was wasted, and the movers took excellent care of my furniture. They were nice, helpful, funny, and fun to work with. They made the move as easy as possible.